Another Delco Guy In South Jersey: They're Here! My brother MattyP and I are headed to Opening Day on March 31! 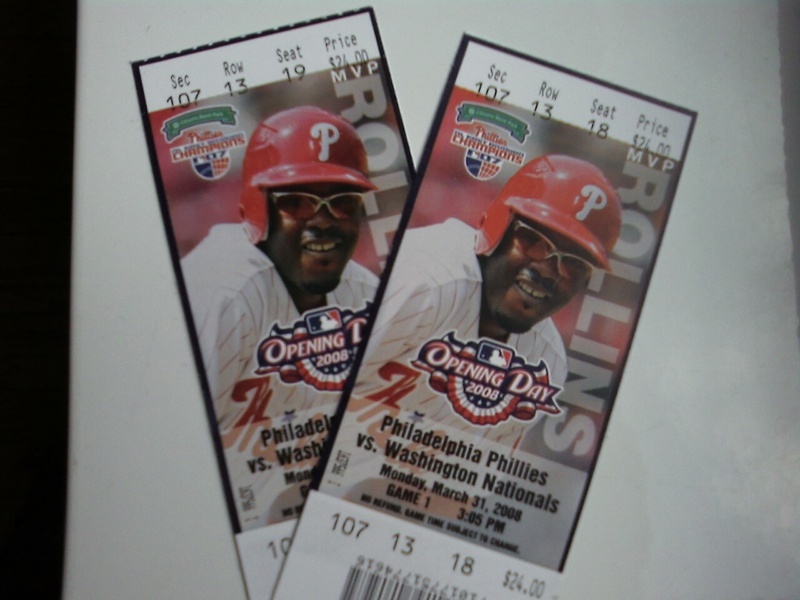 The tickets are in my hot little hands and my bank account is $100 lighter per seat, but we'll be in the house when the Phils hoist the first National League East pennant around here in quite some time. In other Phils news, they get the Grapefruit League season under way today at 1:05 this afternoon in Clearwater against the Reds.